Mike and Paul will be presenting an overview of project research and recommendations at next week’s IOSH 2016 conference in London. This is a really exciting opportunity for the project’s findings to start influencing practitioners and policy-makers. There will be over 800 delegates present at the conference, from around the world, so it’s going to be very interesting to see how our work is received. Appropriately, we’re part of the ‘Positioning for the Future’ strand – whilst our project has kept one eye on the past, we’re clear that knowing what has happened is essential to understanding the present, and can be a dynamic way of generating suggestions for how we might shape the future. As when writing the project report, a key challenge in preparing our presentations has been thinking about how to make sure contemporary practitioners can see how and why the past is important and relevant. We’re looking forward to some interesting discussion and questions after the presentation, and really hoping to inspire delegates to take up the project’s recommendations! When researching modern British history, the issue of race comes up often, particularly in the late 1950s/early 1960s. This era saw a sharp increase in immigrant labour, as the government recognised that post-war reconstruction depended on an influx of new workers. Throughout the 1950s, immigration from the Commonwealth rose significantly. 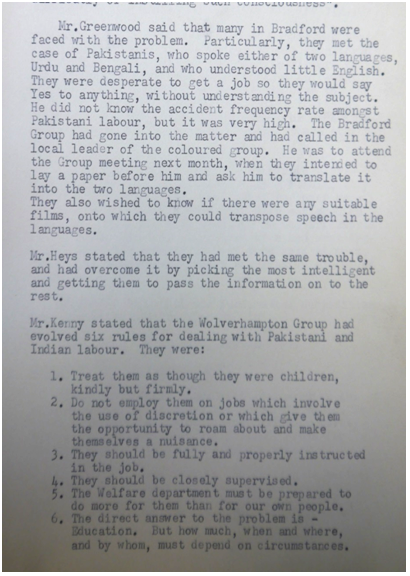 The committee minutes state that the Wolverhampton Safety Group’s rules for ‘dealing with Pakistani and Indian Labour’ included entreaties to employers to: ‘treat them kindly but firmly, as though they were children’. Other rules stipulate close supervision (as it was thought workers could not be trusted to be mindful of safety issues) and not employing immigrant workers on jobs which ‘involve the use of discretion.’ Whilst such perspectives now seem astonishing and inconceivable, at the time they were widely held and would have appeared unremarkable. 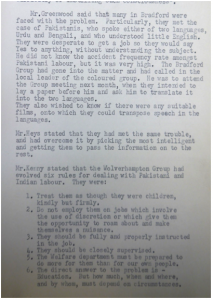 This sheds light on the increasing issue of race relations in the British workforce in the early 1960s, something that was recognised in industry at the time. Indeed, ‘The Immigrant in Industry’ was one of the topics discussed at the Conference of Advisory Councils on Occupational Health in 1962/3. Minutes from this conference hint at a more constructive (though at times no less misguided) approach, suggesting short courses on occupational health and safety to be offered to workers entering the country for the first time. The conference minutes also recommended the production of pamphlets, the purpose of which was to ‘guide the immigrant to a successful entry into industry. The idea was to sell to the immigrant the maxim “When in Britain, do as the British do”’. These documents flag up a topic we might not normally think about in relation to the history of occupational health and safety in the UK; namely, immigration and race-relations in industry, particularly in the post-war period. How far was racial prejudice an issue when it came to establishing good health and safety practices in the workplace? How far did employers perceive the communication of OHS regulations and issues to immigrant workers to be problematic, and how much of this was tainted by intolerance? And how far did immigrant workers feel that they were protected by OHS regulations, compared to their British colleagues? One interesting theme which emerged from our time at the British Safety Council archives in October was the various ways in which safety messages are communicated to workers through promotional material – one popular method being the medium of the safety film. Our search unearthed a safety film catalogue from Federation Films, a production company formed jointly between the National Federation of Building Trades Employers and the Construction Industry Training Board. Films in the catalogue included Where’s Danny?, No Questions Asked and Eyes Down. These productions (made between 1987 and 1990) use brutal scenes and emotive subjects to communicate their safety messages and to raise questions about worker and employer responsibility. Where’s Danny? was produced for the painting industry, and follows a painting contractor working in an engineering factory. The film takes place 35 feet above ground, where Danny unclips his safety harness in order to clip it to a ladder (the correct procedure) but falls to his death due to the movement of the platform, which was badly set up. 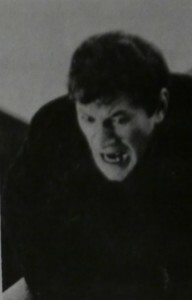 The film, described in the promotional material as ‘highly emotive’, highlights neglect on the part of management, in terms of their failure to order the correct equipment and cutting of corners to meet a deadline. No Questions Asked is described as a dramatic, step by step portrayal of how an accident really does happen on a building site, and follows a series of incidents, all interlinked, which culminate in eventual disaster involving an unsafe trench. The procedure followed when investigating an accident is also shown, and all persons involved are found guilty – the foreman, general foreman, site agent and ganger. The message here is clear: everyone on the site bears a responsibility for safety. These films are relatively short (between 10-20 minutes) and tend to deliver their points concisely, and although they are instructional they draw more upon shock tactics and brutal imagery to gain the attention of employees and managers. Promotional materials like these aim at hammering home the cost of accidents and the issue of employee-employer responsibility, and such materials are extremely interesting to study in terms of the ways in which they attempt to engage with workers and communicate safety messages. 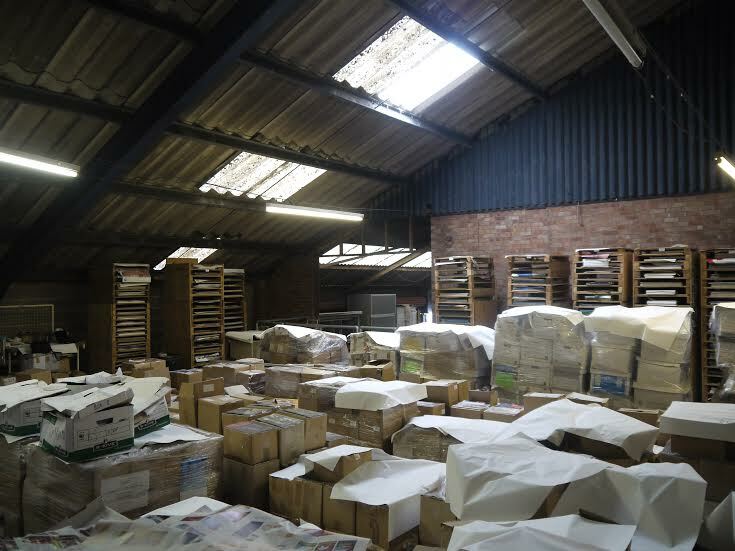 The nature of archival research can vary depending on the size, scope and location of the collection involved, and this week’s project trip to the British Safety Council archive in Mansfield was no exception. As you can see from the picture below, the conditions were somewhat unusual! Rifling through uncatalogued material is always exciting, as there’s no telling what the collection might hold. And our project researchers did come away with some interesting finds. More to follow on this later! IOSH VIP talks OHS on ITV! On Thursday 18 September the Scottish electorate will decide whether Scotland should become independent country or remain within the UK. But what does this mean for occupational health and safety in Scotland? Historically, this issue has come up before, although in relation to devolution rather than full independence. In 1979, Scotland held a referendum on establishing an assembly devolved from Westminster, though the vote fell short of the 40% of the electorate required to make this a reality. This period is an interesting one so far as it relates to health and safety issues, because in the run up to the referendum the Health and Safety at Work etc Act (1974) was in its first few years of implementation. During a trip to the National Archives of Scotland, I happened across a number of documents from this period which provided an insight into some OHS concerns that, in the 1970s, set Scotland apart from England, and implied that homogeneity in OHS legislation would not work for a devolved Scottish Assembly. The Health and Safety at Work etc Act was introduced into UK law in July 1974. The act laid down the general principles for the management of health and safety at work in the United Kingdom and also resulted in the creation of the Health and Safety Commission (since merged with the Health and Safety Executive). 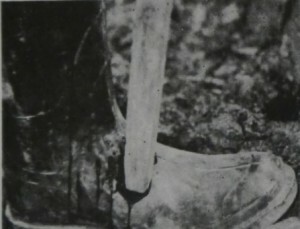 At the time devolution was being discussed (1975-1978) this legislation wasn’t fully implemented, which could have contributed to some anxiety in terms of Scotland’s proposed control over OHS issues relating to agriculture, offshore oil and particularly emissions from industrial premises. For example, industrial emissions were to come under the remit of the HSC, but it was felt, in Scotland, that this should remain within the powers of the Department of the Environment (as this was seen to be an environmental issue). 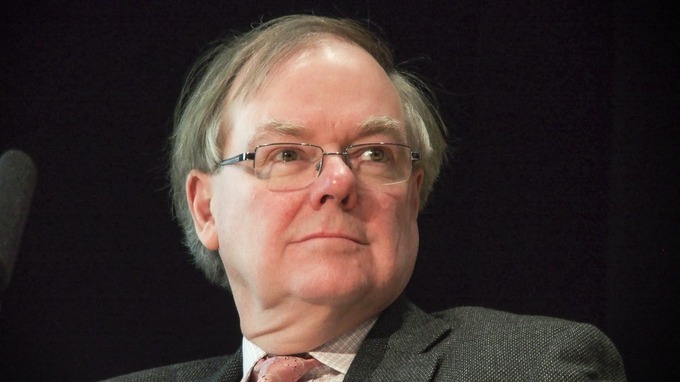 Furthermore, correspondence between the Scottish Home and Health Department and UK government officials highlighted a few complexities here with regard to devolution: different standards in England and Scotland could be harmful, and uniformity across Scotland and England was preferable for the UK government. However, industrial emissions were very closely related to other aspects of environmental health which would be devolved to the Scottish assembly, making this a tricky issue. At this time it was also expected that the NHS would work closely with aspects relating to occupational health, which might be difficult under a devolved Scottish Assembly. In July 1975 the Scottish Home and Health Department wrote that it would be ‘illogical’ for Scotland to have control over the NHS, but with health during working hours under the control of Westminster. The department also recognised that in ‘view of financial and other constraints’ the idea of setting up a Scottish Health and Safety Commission was unlikely, but suggested that if Scotland wished to have control over some arrangements ‘e. g. alcoholism at work’ it was thought that this should not cause serious difficulty for the rest of the UK. These discussions were academic, however, as Scotland did not gain devolution from Westminster until 1999. Today, Scotland’s health and safety laws come from the UK parliament (which in turn takes many of its regulations from the EU). Scotland cannot make new health and safety laws, but can make law on related issues, such as criminal law. Since 1999, there has existed a concordat between the HSE and Scottish executive which is non-binding, but allows for practical working arrangements between the HSE and the Scottish Executive on OHS matters. So who will have responsibility for health and safety in the event of a ‘Yes’ vote on September 18? There is still the question of whether Scotland would remain in the EU, but it is possible that, as the Scottish government wishes to join the EU, it will bring health and safety laws into line with EU requirements (a necessary pre-requisite for membership). Furthermore, in 2011, Employment Minister Chris Grayling commissioned the Löfstedt report – an independent review aimed at streamlining health and safety regulation in Britain. Scottish independence would not happen overnight, and it is probable that by the time Scotland did achieve full independence the recommendations of the review will have already been implemented. In addition, given that there are already HSE offices employing over 270 staff in Aberdeen, Edinburgh, Glasgow and Inverness, any radical overhaul of health and safety regulation in Scotland might seem an unlikely eventuality. Arguably one of the key challenges when researching the history of health and safety is in accessing women’s experiences of industry and employment. The papers of organisations like the Women’s Advisory Committees of trade unions can go some way toward bridging the gap, but archival documents that shed light on the average circumstances of female workers day-to-day are difficult to come by. If anything, this is even harder in the male-dominated heavy industries where women often made up a very small percentage of the workforce. During a recent trip to the National Archives of Scotland I unearthed an interesting file which explored women’s experiences seeking employment in the North Sea oil industry in the mid-1980s. The document prompted me to think about the ways in which we historicise female employment and ‘traditional’ female roles in industry. It doesn’t directly relate to safety, but does discuss how ideas about working conditions and the physical demands of manual labour were used to justify discriminatory attitudes toward women, including managerial assumptions that women were less able to ‘handle’ heavy work. The report ‘Women in the North Sea Oil Industry’ was produced for the Equal Opportunities Commission in 1984, based on statements given by 158 female respondents regarding their experiences finding work in the industry, and the discrimination they encountered while interviewing for jobs with offshore oil companies. Many women who were offered jobs found themselves being pushed into laboratory work and non-geological roles – not the offshore jobs they had originally applied for. For others already working at oil companies opportunities for promotion were cited as being slim, with male employees more likely to be promoted over more qualified female counterparts. Perhaps it is too easy, for historians, to fall into the trap of thinking predominantly about women working in secretarial/office/factory roles. Although statistically this may have been the case, maybe we also need to think more about the experiences of women working in traditionally ‘male dominated’ industries. So in the 30 years since this report was commissioned, has the situation in the oil industry changed for the better? Last year Sarah Darnley, a steward for an offshore catering company, died in a helicopter crash in which 3 other oil workers were also killed. As she was believed to be the first woman to have died in a North Sea oil rig incident, her death threw the spotlight on gender diversity in offshore work. Encouragingly, since 2006 the industry has seen an increase of 18.7% in the total numbers of females travelling offshore. However, this is just a 0.15% increase in the proportion of females relative to the total workforce population, which, in 2012, represented just 3.75% of the offshore workforce. 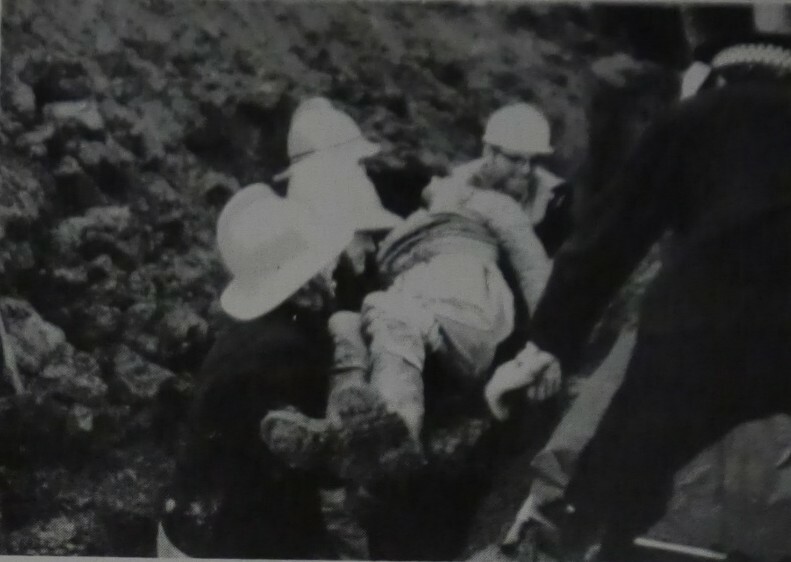 Field engineer Sophie Kellas McKenzie, interviewed for The Guardian following this incident, said that she had experienced some sexism In her job and hinted that such ideas are still in evidence: “one or two [men] have told me I couldn’t possibly help them with a physical task because I must be too weak, even though I’m probably stronger than a lot of them.” It’s possible that the industry still has some way to go. We are delighted to announce that two Research Assistants have been apointed to work on the project with us – Carmen D’Cruz, who will be based at the University of Reading School of Law, and Laura Mayne, who will be based at the University of Portsmouth School of of Social, Historical and Literary Studies. They will be working during 2014 to bring the project to fruition, engaging with archival, empirical, and documentary sources to gain new insights into change over time. As such, we will be looking for relevant archival sites and sources that really speak to the realities of health and safety regulation, policy, and change since 1960, and will also be looking to interview key players from the worlds of policy, industry, regulation, and the trade unions. If you have ideas about sources, or things that we should definitely be looking for, then please do get in touch or drop us a comment via this blog site! Thank you!